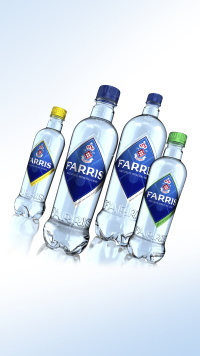 JDO has created new packaging for Norwegian water brand Farris. The packs use colour-coded caps to denote the different variants in the range, and a metallic-looking label. London-based online electronic music magazine Inverted Audio, http://www.inverted-audio.com/, has launched a newly-designed website, fully responsive across desktop, tablet and mobile devices. The site was designed and built in-house by Tom Durston, Emily Power and James Kind. 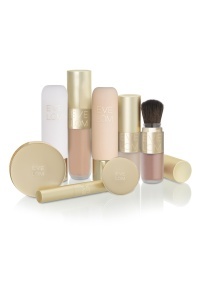 JKR has designed the graphics and structural design for new cosmetic range Eve Lom. The look and feel aims to give ‘the idea of purity’, according to JKR. Consultancy Somewhat has designed a new website for London-based coffee chain Fernandez & Wells. The fully responsive site features downloadable food and wine menus and stories about the provenance of the food served by the cafes. Hemingway Design has created the new sofa The Fifty Eight for G Plan Vintage. The piece, which launches in the spring, features a fixed single seat and back cushions with the option to have matching contrast seat and buttons; and a wooden plinth. Leeds-based consultancy Totality GCS has designed the packaging for new Kingsmill snack range Mini Toasts. The consultancy says the designs aim to emphasise the brand’s ‘healthier option credentials,’ highlighting information such as calorie content. SomeOne has created a new identity for visual effects company The Mill. The new identity stems from the ‘Mill’ word mark, extending the stripes across print and pixel based applications ‘to add a greater level of charm to primary branded surfaces’, says SomeOne. London-based non-profit arts organisation the Delfina Foundation has reopened, with new interior designs by architects Studio Octopi and Cairo-based Shahira Fahmy Architects. The £1.4m redevelopment will double the residency capacity, increasing the number of residents at one time from four to eight, as well as creating around 153 square metres of additional exhibition and event space. Hull-based consultancy Strawberry has created the branding for new fitness fashion-wear brand Every Second Count. It also created a fully-responsive e-commerce site http://www.everysecondcounts.co.uk for the brand. The One Off has designed Primark’s new lingerie campaign, entitled ‘What’s Your Secret?’. The shoot took place at Hedsor House in Buckinghamshire. Designer Martin Russell has launched contemporary British watch brand, Phantom. Russell designed the branding, packaging and watches in the range. Macclesfield-based consultancy Vibe has created a new identity for estate and letting agent, Cowell-Norford. Designhouse has created a new identity for Heineken’s internal leadership communications. The new look is used across internal newsletters and online platforms, and features a ‘ripple’ device ‘to visually represent the idea of sharing information, the power of word of mouth and the pulse of the business (the people)’, says Designhouse. Architect ZMMA has been appointed by the Watts Gallery Trust to recreate G.F. Watts’s studio and will create new galleries to tell the story of the Wattses’ artistic practice in Compton and to present and interpret ceramics and architectural work by Mary Watts. 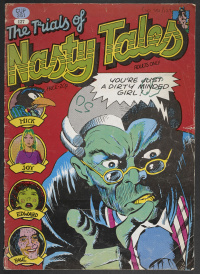 The designs have now received a £2.4M grant from the Heritage Lottery Fund. Yorkshire-based consultancy 10 Associates has rebranded law firm LCF Law. 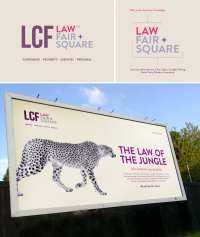 The branding is based around the proposition ’Changing the face of the legal landscape’. GPStudio has acquired creative lighting practice Office of Light. The team from Office of Light, whose previous clients include Burberry and Victoria’s Secret, will now form part of GPStudio and will shed their original name. Salford-based consultancy Raw has created the branding for the Near Now Fellowship, a new national scheme established to support the artistic and professional development of UK-based practitioners across art, design, technology and education disciplines through a 15 month placement with Near Now. DigitasLBi has created a new website for Tesco Direct, creating a site for the brand’s online shopping business built to scale responsively across all devices. Off The Top of My Head has created a new logo and website for medical research charity Ovarian Cancer Action. According to Off The Top of My Head founder and creative director John Spencer, the logo ‘is inspired by the notion that “action” is the most important word in their name because that is what they’re all about’. LateRooms.com worked with ustwo to design and develop a new mobile version of its hotel booking application for both iOS and Android. The consultancy says it was briefed to develop a ‘functional yet playful app experience’. Studio Boo has created an installation for the Isabella Blow: Fashion Galore! exhibition at London’s Somerset House. The piece, a paper chandelier, takes inspiration from Isabella Blow’s personal collection of Philip Treacy hats. Crux Product Design has designed the graphical user interface and industrial design for new high end rice sorting machine from Buhler. For more information see the video here. 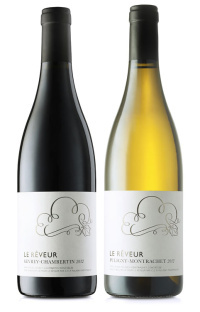 Distil Studios has created the branding and packaging for new wine venture Le Rêveur (The Dreamer). The designs are based on the idea ‘Turning Dreams into Wine’, featuring a cloud graphic by illustrator Steven Bonner.